As a skin-care junkie, I LOVE exploring tons of different skin-care brands to see what exciting products are available out there for me to discover. So as soon as BEBE BLANC emailed, I couldn't be happier because it seems like a new facial product would be on it's way!!! "BEBE BLANC is founded by a team of enthusiastic beauty junkies who focuses on the importance of having a good skincare product for each individual. We believed that beauty is skin deep and having a clean and healthy skin help to boost one’s positive self-esteem and confidence. BEBE BLANC is a collective of premium quality products carefully sourced from Thailand and around the world in time to come! We work only with direct manufacturers and ensure that the products are of quality standards and FDA approved. 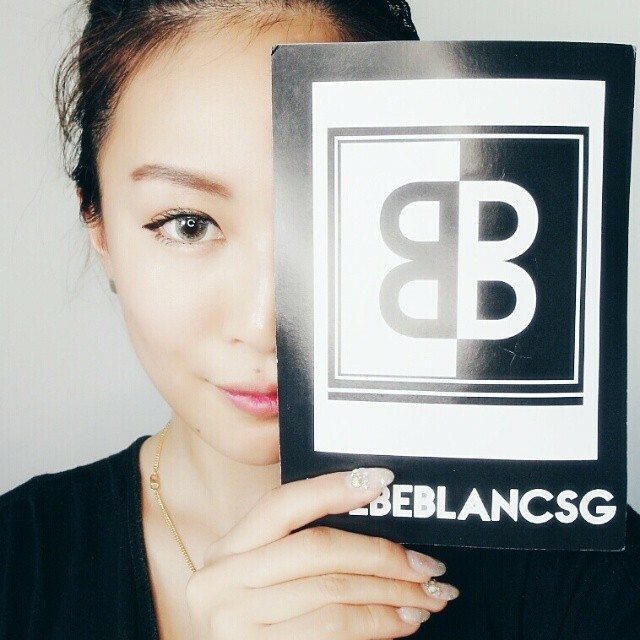 You can definitely find the right product amongst the different brands at BEBE BLANC!" 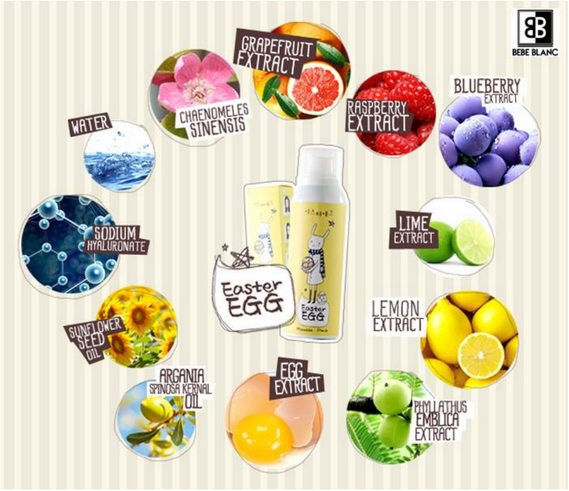 Egg Yolk plus other beneficial ingredients which are high in anti-oxidant and good for our skin! So how do we use the Easter Egg Facial Mousse? Let me show you! 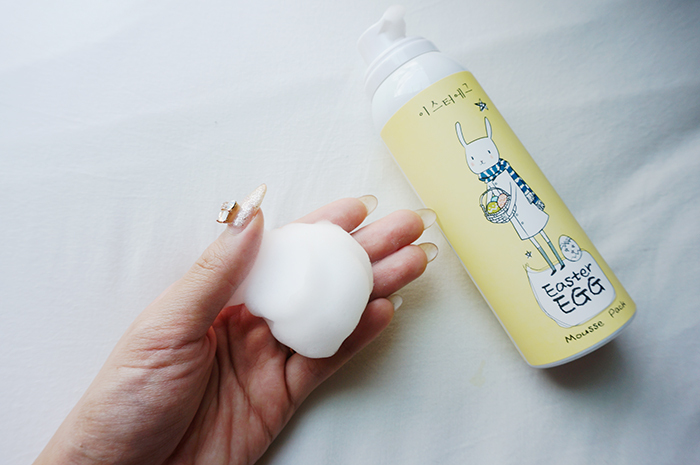 the size of an egg onto your palm and apply it generously on your face. Gently massage and work the product into your skin so that it absorbs it to the fullest! Leave it on for about 10-15 minutes before washing it off and you're done! so far I have used this mask for a couple of times and I can say that so far I am loving it! Just 10-15 minutes of this and you'll get a brighter and refreshed skin for the rest of the day. The best part is that the Easter Egg Facial Mousse is suited for normal to oily skin types so everyone can give this mask a try! 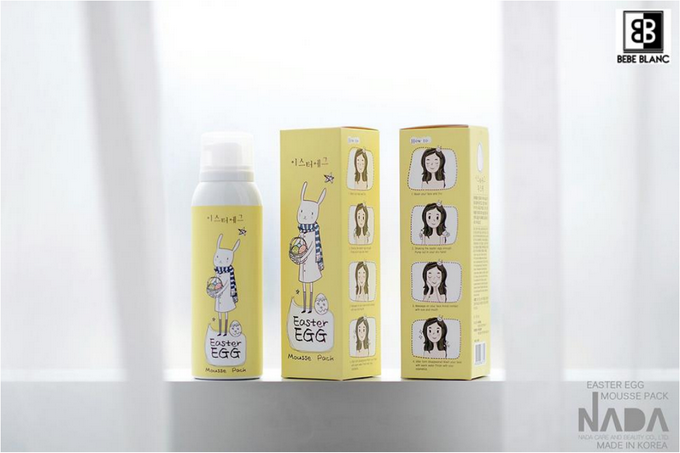 WWW.BEBEBLANC.COM.SG to purchase your very own Easter Egg Facial Mousse today!